Get ready to sing, dance, and head back to high school — with a zombie twist. 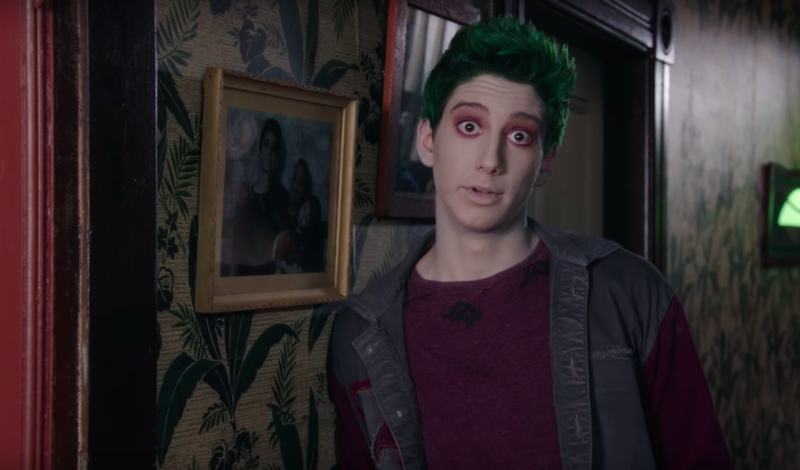 Tonight, Disney Channel is premiering its long-awaited new original movie and it is something out of our undead dreams. A blend of High School Musical and The Descendants, Zombies follows a group of teens through all the trial and tribulations of being a teen, with the added zombie complication. The picturesque town of Seabrook is divided after a mysterious green mist turns everyone it touches into zombies, with the zombies quarantined away from the rest of the population. But thanks to a new electromagnetic technology — think Fitbit meets low-current taser — that helps zombies keep themselves in control of those pesky brain-eating urges, the teen zombies are allowed to attend the human-populated local high school. Despite facing some serious animosity at their new school, Zed and his friends are ready to make themselves at home, with the help of new friend and human cheerleader Addison (Meg Donnolly). But who is the young actor behind our zombie Romeo? 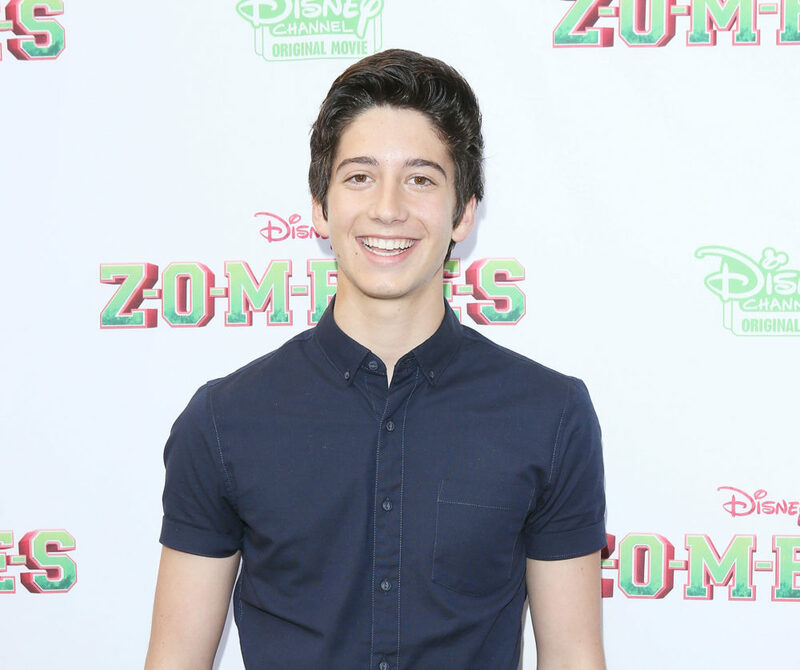 Zed is played by 16-year-old actor Milo Manheim, in his major acting debut. The actor previously guest starred on a 2009 episode of Ghost Whisperer. And last year, he made his stage debut in musical Generation Me at the New York Musical Festival, for which he won the award for Outstanding Performance in a Leading Role. Manheim is relatively new to acting, as you can see, but he comes from serious Hollywood pedigree; his mom is Golden Globe and Emmy-winning actress Camryn Manheim, who starred as Elinor Frutt in the critically acclaimed series The Practice. While Zombies may be introducing viewers to Manheim, we have a feeling that we’ll be seeing a whole lot of him in the near future. Catch Zombies tonight at 8 p.m. EST on Disney Channel! Trust us, you won’t want to miss it.